While Research In Motion carries out the process of recruiting a new Chief Marketing Officer to the company, I've decided to temporarily fill the position by throwing some CrackBerry Kevin BlackBerry marketing logic into the ether. You know what they say - no time like the present. And with new CEO Thorsten Heins set to present his ideas for change to RIM's board in two weeks time, the sooner we get these ideas -- both big and small -- out there, the better. Let's kick things off today with what I feel is a long overdue name change. 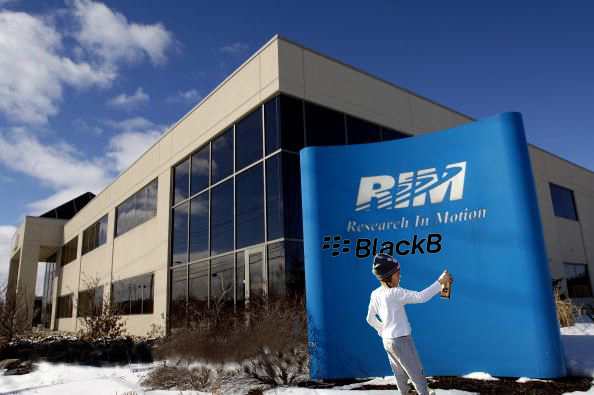 It's time to change the name of the company from Research In Motion to BlackBerry. Period. New CEO. Let's finally do what should have been done years ago and make the BlackBerry brand one and the same with the corporation and people that deliver the product. I know there is a long history with the Research In Motion name and I'm sure it will cost a chunk of cash and be a headache for a company of RIM's size to go through the change, but the time is now to get it done. Most consumers still don't know that Research In Motion makes BlackBerry products. Hell, even Jeopardy thinks it's a company called BlackBerry that makes BlackBerry Smartphones. Seriously. You can click this link to watch TV's Alex Trebec let What is BlackBerry? slip by as the correct answer to The Bold 9000 Is Among This Company's Series of Smartphones. Wrong Alex. So wrong. And while I know a lot of people, especially those reading this article on CrackBerry, can make the connection that Research In Motion builds BlackBerry, it's a step that is unnecessary. Let's quit fighting it and S I M P L I F Y. Simplifying things will be a critical part of RIM's BlackBerry's path to success moving forward (see my previous editorial on Focus), and a logical place to start is with the name. While there are many successful examples of companies having a different name from the product brand (and RIM/BlackBerry is a great example of this), I think some of the most powerful examples of consumer brand loyalty come when the company does have the same name as the brand. Just think about that other company named after a fruit. When the company and brand share the same name, consumers value the company and the people who make it as much as the product itself. I believe it can build greater consumer loyalty. I also believe it works the other way. While I haven't put any time into digging up empirical evidence for it yet, I have a hunch employees work even harder and take more pride in their work when they know their identity is tied to the consumer-facing brand. "Oh, you know, we make BlackBerry"
"Oh wow, that must be awesome! Why isn't the company called BlackBerry?" "Beats me. Ask our CMO. Oh, wait." It may not be an issue for RIM employees while in Waterloo, but I'm sure literally every current or former RIM employee has had this conversation at least once. The new BlackBerry Chief is a fan of process discipline and efficiency in organization structure. If we could save each of the 14,000+ RIM employees one minute this year from avoiding this extra step in obligatory introductions, that's over 233 hours of time that could be put back into productive work. Now that's maximizing efficiency. Though to be totally honest, I wouldn't doubt if most RIM jobbers already reply with the answer "I work for BlackBerry" to this question anyways. More validation to changing up the name already. I have nothing against the name Research In Motion. Other than opening itself up to the odd RIM Job or Research In Slow Motion joke I quite like the name, though arguably it does sound more like an engineering company than a consumer electronics company, which makes sense given Mike Lazaridis' engineering background. It just makes logical sense for the company to switch up to the name of its most valuable brand and product, BlackBerry. And I am most definitely a fan of logic.